Nimble and nippy but with a nose for adventure and rowdiness, this stunning ride takes everything exhilarating about Vitus' Nucleus MTB and turns it up to 11. MBR Hardtail of the Year success pushes the Sentier to the front of the trail-taming queue. Built around a modern geometry-shaped low, long and slack alloy frame, this superb Sentier is equipped with high-end tech and spec to let you get down and dirty on every ride. A massive 140mm travel Rockshox Boost fork soaks up every impact, while plus-sized 2.6” Schwalbe tyres, a SRAM NX Eagle 1x12 drivetrain and powerful SRAM Guide R hydraulic disc brakes give everything you could ever need to ride as rowdy as you like. Kitted out with ISCG 05 chainguide mounts, dropper post routing and a tubeless ready setup, this hardtail is a hero of the mountain. Does this bike come with pedals? Yes, every bicycle come with basic flat pedals. Does this MTB have remote lockout on the forks? 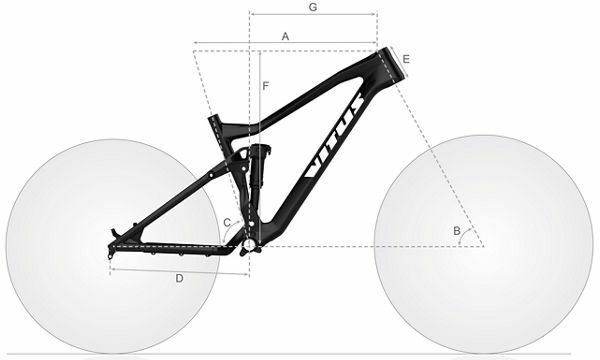 what is the frame waranty with Vitus mtb's? Vitus warrants each Vitus frame to be free from defects in materials and workmanship for a period of five years from the date of original retail purchase.